In the first of the Sedona series of YA fantasy novels, Sedona is named after the place where she was conceived. Tag, her close-as-a-brother cousin is named after the expensive watch and he feels just plain lucky that his parents weren’t vacationing in Schenectady or Poughkeepsie or that the brand on the occasion wasn’t a Timex or a Citizen. Here are some other celebrities named after cities/places. Heiress Paris Whitney Hilton was born into the uber-wealthy Hilton family, and has three younger siblings, Nicky Hilton Rothschild, Barron Hilton and Conrad Hilton. The daughter of Kathy and businessman Rick Hilton, and a great-granddaughter of hotel moghul Conrad Hilton she is famous for partying, fashion products and…partying. Also for making tiny comfort dogs famous, leaving hundreds in shelters (maybe thousands?) after fans got over the short-lived fad. Hawaiian Bethany Hamilton began her surfing career at age 11. 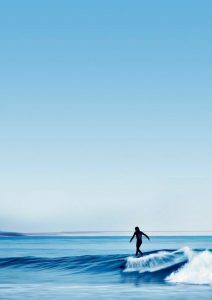 Within two years, she had become an exceptional surfer and was well-respected in the field of surfing. 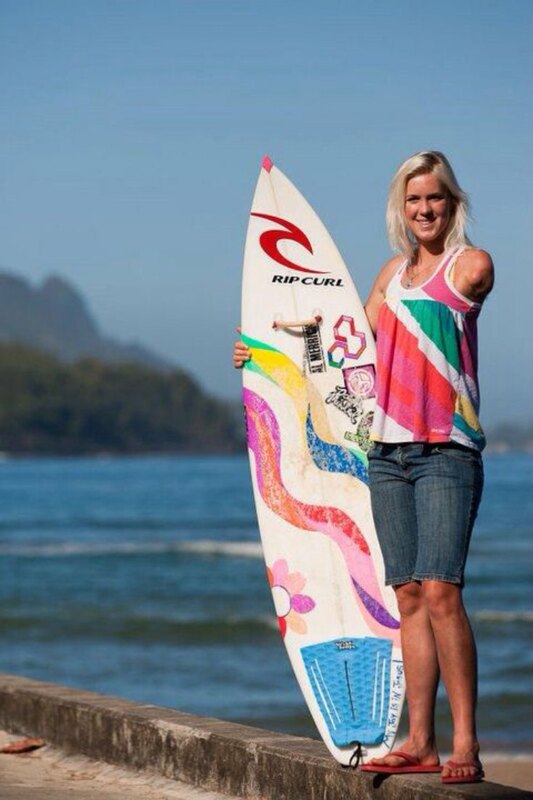 Her fame escalated when she lost her left arm to a tiger shark on October 31, 2003. ” I can’t change it, That was God’s plan for my life and I’m going to go with it.” And she’s still going! Hannah Dakota Fanning was born in 1994, in Conyers, Georgia, USA. Being a sci-fi fan I first saw her in Steve Spielburg’s “Taken” and was very impressed with the then young actor’s ability. The word dakota means “friend” or ally”, as used by the Sioux and Lakota tribes of the Northern (US) plains. I chose this photo of her because she apparently likes Starbucks – which reminded me of the character Sedona who loves caramel lattes. Winona Ryder was named after a nearby town from her birthplace, Winona, Minnesota. Her parents are Cynthia Istas, an author and video producer, and Michael Horowitz, who publishes and sells books. Her family is of Russian Jewish and Romanian Jewish on her father’s side. Well known for The Secret Life of the American Teenager, India was born in 1993, in Los Angeles, California. Her father is musician David Glen Eisley and her mother is actress Olivia Hussey. She began performing on television when she was ten. Current film credits are The Curse of Sleeping Beauty and Amerigeddon in 2016. Three more films she has acted in will be released in 2017. I couldn’t find a good photo of Joan Crawford starring in the film Johnny Guitar (1954). She played Vienna, a strong female role model whose saloon business is destroyed by local (and jealous) ranchers. A great yarn. Yet here is Ms. Crawford who was also a surfer girl! Indiana Hawke, daughter of Ethan Hawke: : “While the name Indiana isn’t on the Top-1000 popular name list currently, it actually was in the late 1800s. Four times between 1881 and 1893 the female name Indiana ranked at the bottom of list – never making it higher than No. 876. It’s had some popularity more recently: In 2004, actor Casey Affleck and his wife, Summer Phoenix, selected the name Indiana August Affleck for their son. There is also an up-and-coming Australian actress named Indiana Rose Evans who just turned 21.” – Name Candy, which provides a baby name finder! Audi. Twenty babies so monikered in 2013, and seventy-three were documented as Lexus. Apple! Nineteen were assigned this name in 2014. I hope they don’t get teased as being fruity! Fox. One hundred and seventy-one! 9 Lives. Kidding me? They definitely will not have a bicycle license with their name on it! Medtronic and Novartis are the weirdest. Medical and pharmaceutical brands…perhaps their items assisted in a near-failed birth? That’s where my imagination goes, as I fail to guess any other possible motivation for those baby names. @. Yep, for real. Phonetically, in Chinese it means “love him”. Siri already was a human name but its use climbed noticeably after she went virtual. Thanks to Mashable for those names! I had fun looking at all these names and I hope you enjoyed this to! Did I miss a good one you know about? If so, please tell me in the comment section below.